Sophy is a London based artist who explores the visually dramatic effects of certain temporal and atmospheric conditions on otherwise everyday scenes. 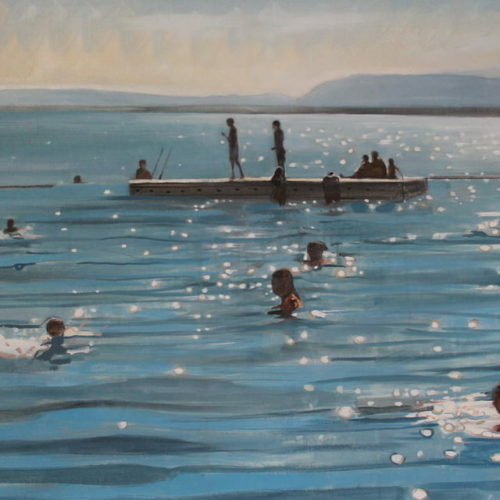 As ever, in her beautifully crafted paintings, light is of predominant interest. She particularly favors strong direct sunlight as it throws the outline of every object into relief. playing and athletes. Lucy concentrates on traditional still lives and landscapes, working mainly outside. The varying light of the scenes give her the opportunity to explore it to the limit. Playing with shapes and textures she creates a vision that is both sensitive and intense. The creative glue that held the two artists together was Philip Erskine, Lucy’s father and Sophy’s uncle, the renowned South Africa landscape artist. Although born in the UK, Lucy was brought up in the Cape, South Africa. Her father who had painted all through his army career enrolled in art school just as she started attending the Chelsea College of Art. When returning home to the Cape, they would paint together, often up a purple mountain. 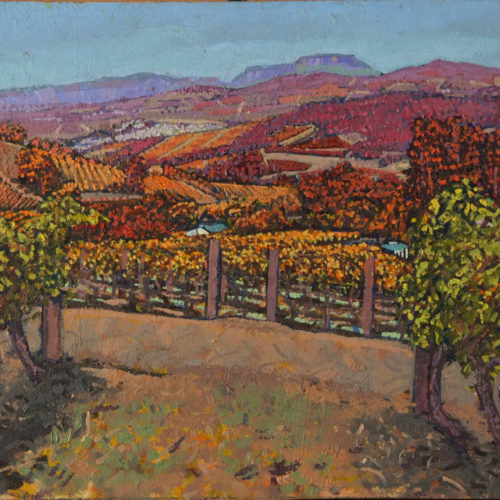 For more than 20 years she worked in oils encouraged by her father’s landscapes and his advice to always look for strong composition and see the beauty of the Cape land. Then Lucy’s life began to be predominately in London and Somerset, juggling family life and her passion for painting. Following her graduation from the Surrey Institute of Art and Design, Sophy went to paint with her uncle in South Africa and she was hugely influenced by the great passion he had for paint, energy, light and colour. He was hugely supportive and Sophy spent her twenties travelling between Africa and London. They painted and traveled together and it was with him that Sophy found her artistic feet by painting everyday scenes highlighted by sunshine. Both artists have enjoyed successful careers holding various individual exhibitions worldwide and they are thrilled to be having their first joint show at D Contemporary.